Ian Johnstone currently serves as the Interim Dean at The Fletcher School of Law and Diplomacy, as well as a Professor of International Law. Prior to joining Fletcher in 2000, he served in the United Nations’ Executive Office of the Secretary-General. From 2005-2007, he was the lead author and founding editor of the Annual Review of Global Peace Operations. He continues to serve as a regular consultant to the United Nations, and is a Non-Resident Senior Fellow at the Center on International Cooperation, New York University. He is a graduate of Columbia University and the University of Toronto. Benjamin Marcus is the Religious Literacy Specialist with the Religious Freedom Center of the Freedom Forum Institute, where he examines the intersection of education, religious literacy, and identity formation in the United States. He has developed religious literacy programs for public schools, universities, U.S. government organizations, and private foundations. He has worked closely with the U.S. State Department, Interfaith Youth Core, the Foundation for Religious Literacy, and the Cambridge Inter-Faith Programme in the United Kingdom. Marcus is a graduate of the Harvard Divinity School and Brown University. Nandini Deo is an Associate Professor in the department of Political Science at Lehigh University in Pennsylvania. 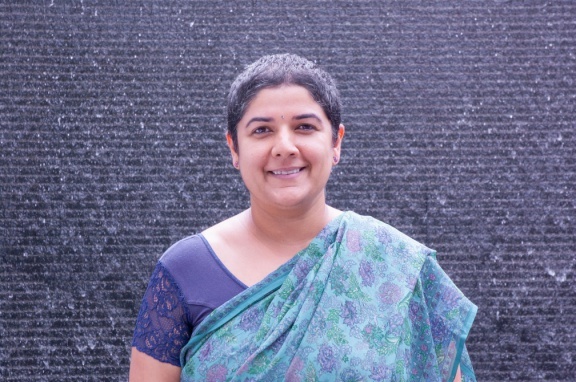 Her research is at the intersection of religion, feminism, and social movements in South Asia. Her current projects are a return to the politics of NGOs and civil society in India. Deo serves as a book review editor for Politics, Religion and Ideology. She is active in the Women and Politics and Religion and Politics sections of the American Political Science Association. Deo teaches courses on religion, gender, social movements, comparative politics, and political theory. 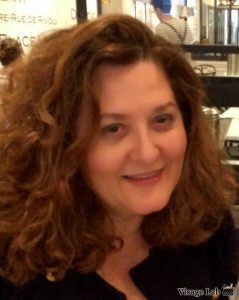 Dr. Sara Yael Hirschhorn is the Visiting Assistant Professor in Israel Studies at Northwestern University. 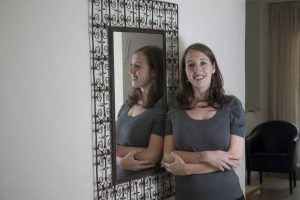 Her research focuses on Diaspora-Israel relations, the Arab-Israeli conflict, and the Israel ultra-nationalist movement. Her book City on a Hilltop: American Jews and the Israeli Settler Movement (2017) was the winner of the 2018 Sami Rohr Prize in Jewish Literature Choice Award and a finalist for the 2018 National Jewish Book Award. She is a graduate of Yale University and the University of Chicago. 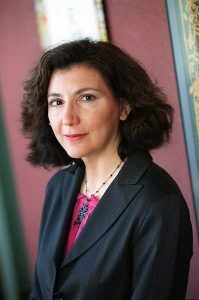 Jocelyne Cesari is the T.J. Dermot Dunphy Visiting Professor of Religion, Violence, and Peacebuilding at the Harvard Divinity School. She holds the Chair of Religion and Politics at the University of Birmingham, U.K., is Senior fellow at Georgetown University’s Berkley Center on Religion, Peace and World Affairs, and is President of the European Academy of Religion. She is a Professorial Fellow at the Institute for Religion, Politics and Society at the Australian Catholic University. She teaches on contemporary Islam and politics at the Harvard Divinity School and directs the “Islam in the West” program. Dr. Elizabeth H. Prodromou is Visiting Associate Professor of Conflict Resolution at The Fletcher School of Law and Diplomacy, where she directs the Initiative on Religion, Law and Diplomacy. Prodromou served as Vice Chair and Commissioner on the U.S. Commission on International Religious Freedom (2004-2012) and was a member of the U.S. Secretary of State’s Religion & Foreign Policy Working Group (2011-2015). Her research interests focus on geopolitics and religion, with particular focus on the intersection of religion, democracy, and security in the Middle East and Southeastern Europe. She is a graduate of MIT, The Fletcher School of Law and Diplomacy, and Tufts University. Evan Berry is Associate Professor and Director of Graduate Programs in the Department of Philosophy and Religion at American University. 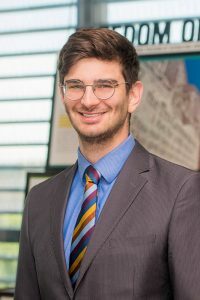 His research examines the relationship between religion and the public sphere in contemporary societies, particularly regarding climate change and other global environmental challenges. He also recently spent a year in residency at the State Department’s Office of Religion and Global Affairs as the American Academy of Religion’s inaugural Religion and International Relations Fellow. 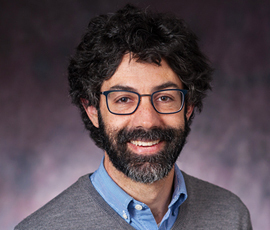 Ricardo Simmonds is a consultant and expert on integral ecology, focusing on the intersection of climate science, environmental policy, theology and Catholic social teaching. He has a Master of Science degree in Environmental Studies form the University of Colorado at Boulder, and has represented the U.S. Conference of Catholic Bishops (USCCB) on climate and environmental policy with members of the U.S. congress and administration, secular institutions, religious organizations and the Vatican. From 2016-2018 Ricardo was the Environmental Policy Advisor for the USCCB in Washington D.C.
Maria Vidart-Delgado currently works as Bilingual Web Content Manager at the Union of Concerned Scientists, where she works closely with the climate program to communicate climate science and policy to English and Spanish speakers in the U.S. 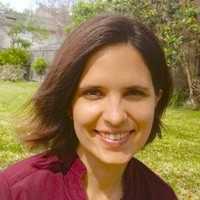 Prior to joining UCS, Maria was a Mellon Postdoctoral Fellow, and Lecturer in the Anthropology Program at MIT. She holds a PhD in Sociocultural Anthropology from Rice University. For her doctoral research, Maria studied the influence of American political marketing, and the rise of information technologies in campaign management in Colombia. 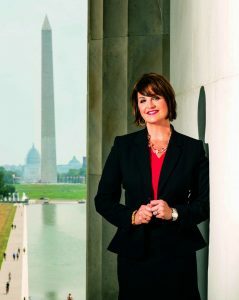 Kristina Arriaga de Bucholz has worked on the defense of Freedom of Religion or Belief in the United States and internationally for over 20 years as Advisor to the United States delegation to the United Nations Human Rights Commission, an appointee to the Civil Rights Commission, and as the Executive Director of a U.S.-based public interest law firm that defends all religious traditions. In 2016, she was appointed to the U.S. Commission on International Religious Freedom (USCIRF) and was reappointed to the Commission on May 21, 2018. 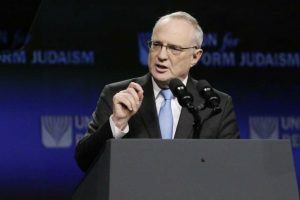 Ambassador David Saperstein served as U.S. Ambassador-at-Large for International Religious Freedom for over two years. He is Director Emeritus of the Religious Action Center of Reform Judaism, where he served as Director for 40 years. Currently, he serves as Senior Advisor to the Union of Reform Judaism. A rabbi and an attorney, Ambassador Saperstein has served as the chair or co-chair of several national interreligious coalitions and served on the boards or executive committees of numerous national organizations including the NAACP, the Leadership Conference on Civil and Human Rights, and the World Faith Development Dialogue. 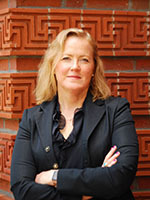 Dr. Monica Duffy Toft is a Professor of International Politics and Director of the Center for Strategic Studies at The Fletcher School of Law and Diplomacy. Before joining Fletcher, Toft taught at Oxford University’s Blavatnik School of Government and Harvard University’s John F. Kennedy School of Government. While at Harvard, she directed the Initiative on Religion in International Affairs and was the assistant director of the John M. Olin Institute for Strategic Studies. Prior to this, she spent four years in the United States Army as a Russian linguist. She holds an MA and Ph.D. in political science from the University of Chicago. 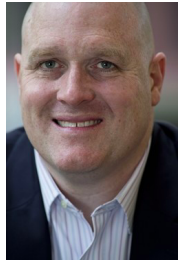 Colonel Michael D. Sullivan is an Assistant Professor in the Department of War and Conflict Studies at the National Defense University (NDU). He served in Kosovo and Iraq in an advisory capacity working with Foreign Military Forces. He is a graduate of the United States Military Academy, Kansas State University, and the Fletcher school of Law and Diplomacy, where he earned his PhD in International Relations. He most recently served as the Director of the Chief’s Initiatives Group for the Office of Security Cooperation-Iraq in the United States Embassy Baghdad from June 2017-June 2018. Shaykh Dr. Ibrahim Kazerooni is currently Imam at the Islamic Center of America in Dearborn, Michigan and adjunct faculty at the University of Detroit Mercy. He has served on numerous boards and received a number of awards for his bridge-building and peace initiatives. 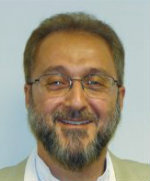 In addition to Islamic theological studies in both Najaf, Iraq and Qum, Iran, Ibrahim holds B.Eng., Mining/Petroleum Eng., MBA in Management, Master in Global Studies (DU), and Master of Theological Studies (Iliff School of Theology). He gained his Ph.D from the University of Denver and Iliff School of Theology. He is a Fellow at the Center for the Study of Human Trafficking (Korbel School of International Studies, DU). Dr. Nussaibah Younis is an expert on Iraqi politics, conflict mediation, and gender and youth inclusion. She is a Senior Adviser for the European Institute of Peace, where she has developed a high-level mediation process among Iraq’s major political parties. She is also the Founder and Director of the Iraq Leadership Fellows Program, which educates and mentors emerging Iraqi social and political leaders from across the country. Dr. Younis was formerly a Senior Resident Fellow at the Atlantic Council, where she founded and directed the Task Force on the Future of Iraq, which was chaired by Ambassador Ryan Crocker. 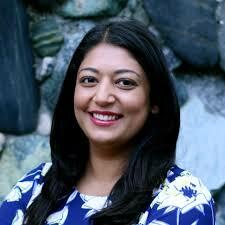 She was previously a Post-Doctoral Fellow at the Harvard Kennedy School’s Belfer Center. Dr. Younis holds a PhD in International Relations.